A very special moment at RoboValley last week. 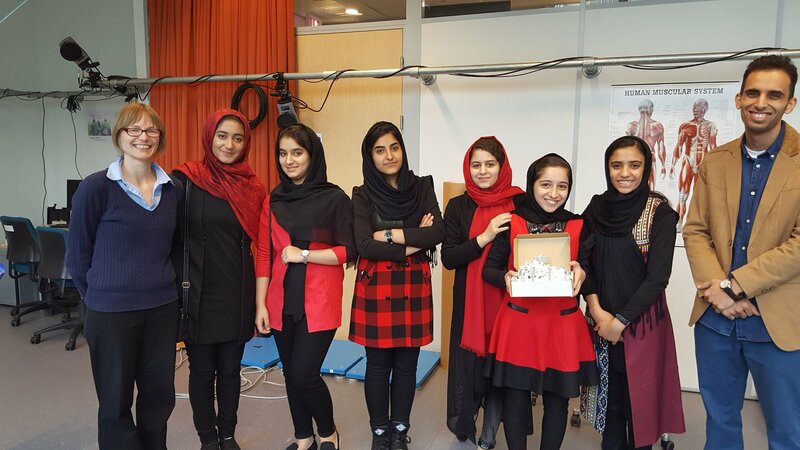 The Afghan all-girl robotics team visited us, ahead of their presentation at the World Summit AI. We were impressed by their powerful message. The team became famous this summer, when they weren’t allowed to travel to the United States to take part in the international robotics competition FIRST Global. Only after international outcry did the girls get their visas – and won a silver medal ‘for courageous achievement’. They were also invited to the World Summit AI, that started last Wednesday. The day before, they travelled to Delft for a visit to the university and RoboValley. At Delft University of Technology, associate professor Heike Vallery showed them around the Biorobotics Lab. Afterwards, they paid a visit to RoboValley. Managing director Arthur de Crook explained to the girls our mission and asked how we could help them. “Everybody is talking about the Taliban and security, but it takes a new generation of leaders to rebuild a country"
De Crook answered that he wants to support them, as RoboValley is dedicated to connecting robots and people – worldwide. “We have to join forces to build a better world together”, De Crook said. 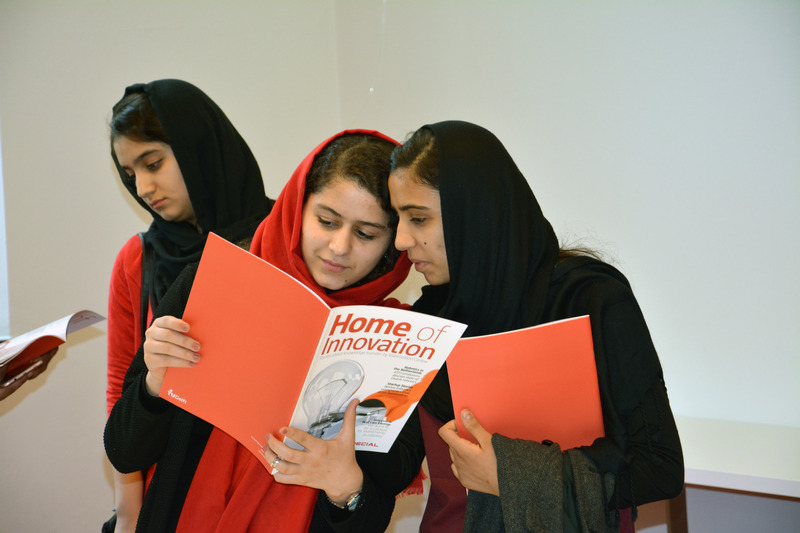 “We are honoured that you are here, we really want to help you.” As a first step, the team will be connected to Delft University of Technology and its Afghan international students. During the World Summit AI the team took the central stage and sent out an impressive message to the world about the empowerment of women. The brave girls got a standing ovation. We applaud you too!